One of my favorite authors, Douglas Valentine has written some of the best exposes’ on CIA crimes. He reported in a tweet that he is preparing to write about the assassination of a Federal Judge, and I think I have some supporting information. There is an old saying that’s something like; “Behind every great fortune is a great crime”. In the case of Soloflex inventor, designer and CEO Jerry Wilson, that saying is true. 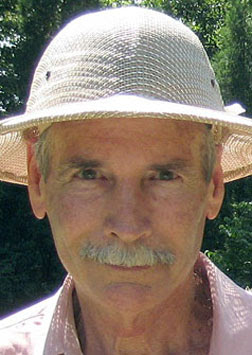 Jerry Wilson made his seed money for Soloflex the old-fashioned way; drug running. Wilson is a fascinating yet enigmatic character who successfully piloted his Soloflex invention as well as the planes he loaded with prime Colombian marijuana. He is a deep thinker, a man’s man who has treaded the fine line between cop and criminal. At his Oregon-based Soloflex factory he’s the benevolent cop, but his current standing is a far cry from the man steeped in the drug trade and associating with a cast of characters linked to the assassinations of President Kennedy and a Federal judge in Texas. I had the experience of touring Wilson’s Soloflex factory while on a maintenance crew. The employees looked like they were having a great time at a great workplace. Their break time was spent playing video games in the lunchroom or shooting hoops outside. The factory was spotless and efficient. Wilson hit the big-time when he switched from magazine adds for his innovative machine to full-length infomercials on cable TV. One year he made $98 million in sales with a net profit before taxes of $54 million. At the time, he was producing 900 Soloflex machines a day. The modern era of Soloflex is a model of the perfect workplace, but it received a leg up through the criminal underworld. Wilson was born to be a pilot; his early boss at Callen’s Flying Service near Roswell had a record of shooting 110 eagles in one day from an airplane. Ranchers at the time had bounties on all predators. One of his relatives, “Uncle Dude” was a well-known bootlegger and pimp who died after being shot in the back. Wilson’s mix of good and bad luck began when he was a pilot for The Chagra Brothers. Lee Chagra was the oldest of three brothers. By all reporting, he was a slick criminal lawyer, cocaine addict, high-stakes gambler and head of a small but powerful criminal organization. Joe Chagra, Lee’s law partner was cleaner and slightly more responsible but Jimmy appears to have been the root of a lot of family trouble. Wilson has written that Lee and Joe Chagra offered seed money for Wilson’s Soloflex invention. Wilson was the Chagra’s pilot, and was soon incorporated into their drug trade. This of course, was at great risk and peril. When the crew branched out from Mexico to Colombia, Wilson spent a little time in a prison near Santa Marta Colombia. His biography states that the avocados were great and that wives and prostitutes were allowed to visit once a week. 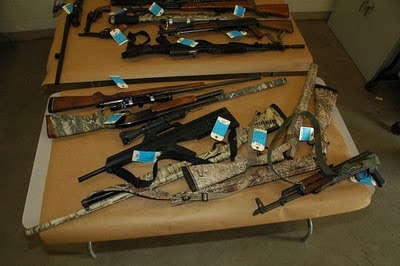 The operation fell into disarray when they were busted in Ardmore Oklahoma. Dubbed “The El Paso Ten”, they were released with a hung jury. It appeared that the jury found out that the cops had stolen somewhere around 4,000 pounds of the 21 thousand-pound shipment and that was the end of the trial. Lee and Jimmy Chagra were famous in the southwest. Lee for representing drug traffickers in court, Jimmy for trafficking drugs, and both for their expensive gambling habits. Casino’s in Vegas sent airplanes to pick them up when they called. Lee was known to take two or three strippers home at night for cocaine-driven orgies. Jimmy was said to emulate Lee, and Joe stayed fairly clean by comparison. From Wilson’s biography, it’s unclear when he parted ways with the Chagra’s but he did go on to contract flying services for celebrities and mail shipments. He makes a point of saying that he always paid his taxes. By 1978 the justice system was closing in on the Chagra brothers again, this time for good. 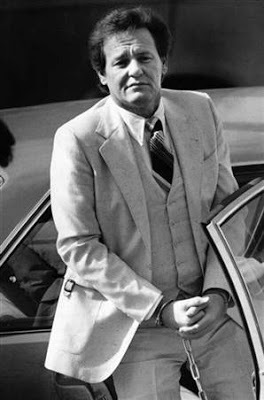 Federal judge John Wood, dubbed “Maximum John” for the lengthy sentences he handed out, had his sights set on Jimmy Chagra. Wood, who had long family ties to Texas law enforcement and a prosecutor named Kerr were poised to give Chagra a life sentence without parole. In a complicated series of events, the once-powerful Chagra network began to unravel. Someone it seems, had positioned a van near the car driven by Federal prosecutor Kerr. The doors flew open and shotgun and rifle fire exploded on Kerr’s car. Despite the ambush, Kerr survived. Meanwhile, Lee Chagra allowed entrance to his fortress of an office to two men who killed him. On December 23 1978, two soldiers from Ft. Bliss were sent by a distant family member of the Chagra’s, Lou Esper, in an attempted robbery. David Leon Wallace and Don White shot Lee Chagra and stole around $450 thousand-dollars. An open vile of cocaine was on Chagra’s desk and a cigarette was still in his mouth. His boots, where he kept thousands of dollars, were removed. The large amount of cash was looted from the next room. Friends and family said Lee feared he was being stalked, and those fears proved true. On May 29 1979, a sniper shot Federal Judge John Wood in the back as he was leaving his home. That was the same day Jimmy Chagra was originally scheduled to appear in Judge Woods court. This began the largest manhunt in history at the time. In a secretly recorded jailhouse conversation, Joe and Jimmy Chagra had discussed details of the assassination. Joe Chagra took the rap and was sentenced to ten years. Jimmy was reported to have been released into the witness protection program. The hitman was none other than Charles Harrelson, the father of actor Woody Harrelson. The signifigance of Harrelson being involved is huge. Harrelson had also admitted to being involved in the Kennedy assassination. After President Kennedy was shot, three “tramps” were arrested, questioned and released. 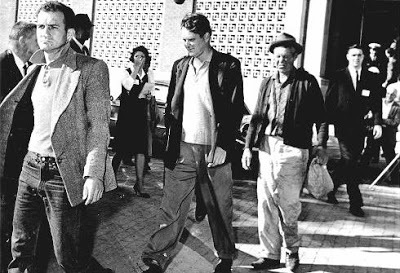 They are said to be Frank Sturgis, Charles Harrelson and E. Howard Hunt. Sturgis and Hunt were with the CIA. The intelligence connections may run deeper. In reviewing notes from a 1990’s interview, a source had named to me the man who claimed to have flown the hit man in the Judge Woods murder from the scene of the crime. He was a CIA contract pilot my source had worked with in Alaska. Of all this cast of characters, only Jerry Wilson of Soloflex survives. Wilson went on to sponsor a host of progressive causes. He mounted a campaign to remove a powerful Republican Congressman from Oregon. He funded plans to shut down Oregon’s Trojan Nuclear power plant. He ran for Governor in 2010. Wilson didn’t suffer gunshots or lengthy prison time. He could have died dozens of times flying. The only bad news that crossed his radar screen was the arrest of his son Brian for felony gun possession from a previous crime. Jerry Wilson has indeed lived a charmed life. 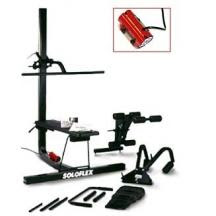 Despite brief incarceration, he used his resources well and built the Soloflex empire. I’m sure he has a lot more stories to tell. This entry was posted on April 17, 2019 at 3:06 am and is filed under Tell the truth and run !. You can follow any responses to this entry through the RSS 2.0 feed.